How long has Premier Coach been in business? Premier Coach is now in our 25th year. We began operation in June 1992. We are a family-owned and operated motor coach company. Premier Coach has grown by continually striving to exceed your expectations every step of the way. Let us show you the difference! How many coaches make up the Premier Coach fleet of busses? We have over 7o modern motorcoaches to serve you. 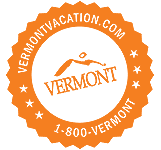 With four locations throughout VT, NH and NY, we can have a coach to you in no time! For garage locations click here. Note: Garages are NOT pick-up locations. All operations, sales and human resources administration are based out of our Milton, VT headquarters. Is a deposit required? How much and when? A deposit is required on all bookings to secure the coach for a given date. The amount of the deposit required is 10% of the total trip booking or $150.00 per coach booked (whichever is greater), and is due within two weeks of making the booking. When is the final payment for my trip due? The final payment for your trip is due at least 2 weeks before departure of your trip. If booking a trip with less than 2 weeks before the trip date, then the full amount is due at the time of booking. Is alcohol allowed on board a Premier Coach? Premier Coach allows alcohol on board our motorcoaches as long as our sales team was notified prior to the departure of your trip and a $100 non-refundable alcohol fee has been paid. Although alcohol is allowed on board, it must be in cans or plastic bottles, as glass bottles are not allowed. Is smoking allowed on the motorcoach? No! All of our coaches are smoke free. Smoking is strictly prohibited anywhere on board a Premier Coach. Are wheelchair accessible coaches available? Yes, wheelchair accessible coaches are available on a request basis. For every wheelchair on our wheelchair accessible coaches, 6 seats must be removed to accommodate the wheelchair. Please keep this in mind when booking people for a trip where a wheelchair coach is needed. Who pays for the driver hotel room if needed? It is usually in the groups best interest to book and pay for your drivers hotel room, as you will normally be getting a better “group” rate. However, if you need Premier Coach to book and pay for the hotel room, it will be charged on your bill at a flat rate of $150 per night. What level of insurance coverage does Premier Coach carry? Premier Coach carries $10 million of insurance, which is double the federally required amount of $5 million. Everything about Premier Coach was perfect. You followed up on every detail. Thank you and you can be sure we will use your company on our next tour. As chaperones, we wanted to let you know how pleased we were with our experience with Walter White. His driving was impeccable and seemed effortless in the chaos of D.C. and Friday night traffic driving north. He was proactive and helpful with students and chaperones alike - we hope to travel with him again next year! 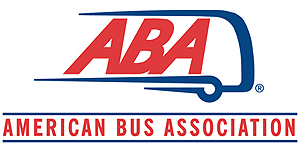 We would like to throw a shout out to your driver Joe Blair for the excellent trip and courtesy he showed during our recent trip to Albany to the Capitol building. We had a wonderful time and as usual it was great doing business with your company. 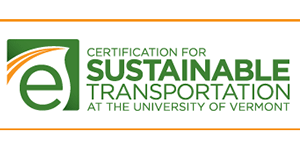 Please fill out this quick form describing your upcoming group charter bus needs. © 2018-2020 Premier Coach. All Rights Reserved.